‘UFX’ a broker regulated by VFSC and CySEC, is offering ‘$50 Bonus’ to all its clients upon phone number verification. This bonus is a one-time offer only, so grab it now and seize the opportunity. The clients are required to register for this promotion and verify a valid phone number prior to their initial deposit. As soon as the authenticity of the phone number is confirmed, the bonus amount will be transferred to their accounts. Moreover, the traders have only a week to make a minimum of $100 deposit and engage in trading activities. The clients should be aware that if any of the requirements (logging into their accounts during the promotional period, making a deposit within seven days, and having at least one open position) is not met, the bonus, as well as the profits, will be completely removed. To withdraw the bonus as well as the profits, the traders should fill out and submit the ‘Know-Your-Client (KYC)’ documentation, execute no less than one open position, and reach the trade volume of $1,000,000 during the promotional period. All you have to do is go to the promotion page on www.ufx.com, register for ‘$50 Phone Verification Bonus’ and verify a valid phone number to receive the $50 Bonus. Afterward, you should trade at least one open position and fund your account with no less than a $100 within a week of your registration date to be able to withdraw. In the case of failing to trade or log into the accounts, the bonus amount will be deducted from the initial deposit. 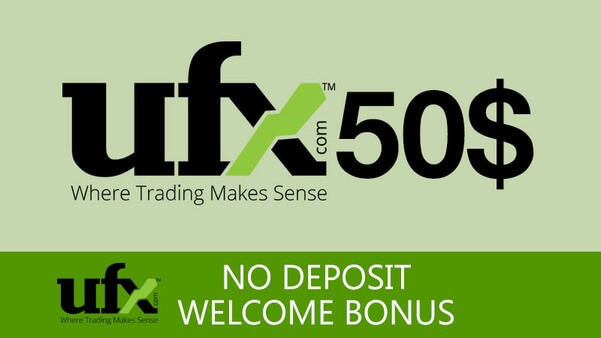 Get UFX $50 Free Bonus Now!